DENTAL implant treatments are becoming ever more popular with patients year on year. New techniques mean that many more people are suitable for implants and treatment time from start to finish is becoming streamlined. 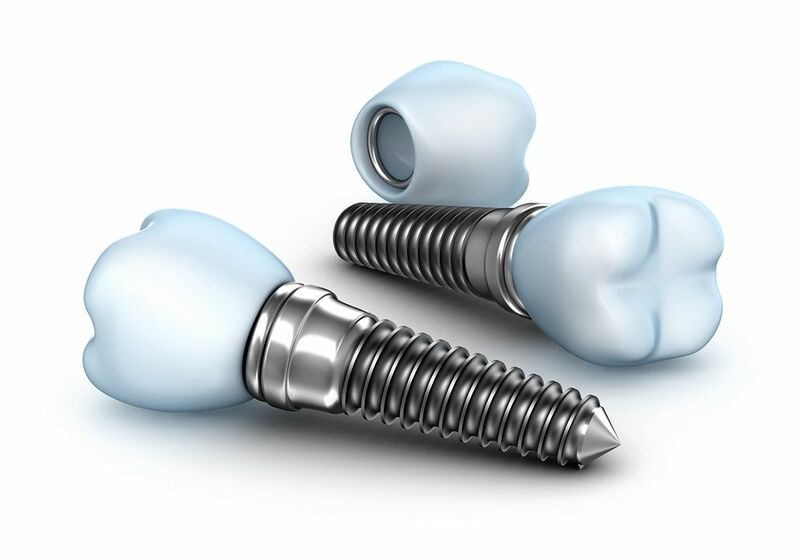 Naturally the number one most frequently asked question about having dental implants is "Do they hurt?" the idea of a hole being made in your jaw and then a dental implant placed into it is often more daunting to think about than the actual reality of having implants. Research from Kuwait University, published in the Journal of Periodontology, surveyed 234 patients who had 510 implants placed between them. The researchers found that the discomfort experienced by patients following the surgical placement of dental implants was generally mild and gradually decreased with time. Pain scores were highest at 24 hours after surgery and decreased gradually thereafter. Pain intensity was mild for the majority of patients at all time-points, and only a few patients had moderate or severe pain. During implant placement the area to be treated is well anaesthetised. Patients now benefit from the development of modern dental anaesthetics that are super effective, even in people who have teeth that had been difficult to numb in the past. Patients often express more discomfort after having a tooth out than after implant treatment. One reason for this is that after you have a tooth extracted a small part of the body is 'open' until the wound closes over, however after an implant the gum is closed over which creates more of a seal and thus is more comfortable. It's common to take out hopeless teeth at the same time as having implants placed. Pain experienced after treatment is often from the healing socket and not from where the implants were placed. Everybody is different when it comes to how they experience pain so there are a range of varying reports after implant treatment. Some patients have no pain after implants, some describe a mild throbbing and some find that it is quite uncomfortable the night after surgery. The vast majority of patients are comfortable at the 48-hour mark after having their implants placed. It's extremely common for people to comment that it was easier than they imagined before treatment and that the long-term benefits of improved eating, comfort and more confident smiling are worth it.